Although Sherlock Holmes considered his powers of deduction perfectly natural and to someone of his intellectual stature elementary, he remains one of the most enigmatic and appealing fictional characters ever since he was created. The stories of Sherlock Holmes and Watson have appealed a few generations and there have been countless adaptations in various forms of art including drama, radio, motion pictures and television. In a last couple of years, two contemporary TV series have gained attraction of media and general public. 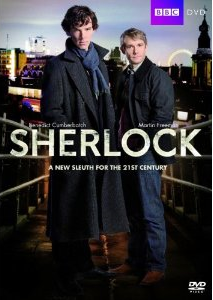 Both shows present a modernistic adaptation of Sherlock and Watson. These are the British show “Sherlock” and the American show “Elementary“. Although there were plenty of speculations around the content and copyrights for these shows, both series have been successful and critically acclaimed, and have now run beyond one season. Let’s talk about the “Elementary” here. Created by Robert Doherty and produced by CBS, “Elementary” features the Sherlock Holmes who has moved to Manhattan. While the books give only a glimpse of an intelligent detective, the modern adaptations including the movies starring Robert Downey Jr. have tried to highlight many a different shades in this intriguing character. Here, he is a recovering drug addict who needs a keeper. His wealthy father pays ex-surgeon Dr. Joan Watson to become his sober companion. A brilliant doctor, Joan is trying to come to terms with losing a patient and considers this an opportunity to help people. She is methodical, intelligent and thorough. Sherlock starts to provide help to New York Police Department in solving crime cases. He is eccentric, but his extraordinary interests and observation powers prove to be a great help and slowly the police detectives start relying on him. Although Watson has no such background, while she is helping Sherlock they discover that she has a knack for investigation. She also develops a caring streak for Sherlock and when her employment term expires, she lies to Sherlock that his father is still paying her. She stays on and Sherlock later takes her on as a detective apprentice. “Elementary” follows their journey as they develop the personal bond of friendship while going through the exciting adventures. The supporting characters comprise of Sherlock’s brother Mycroft, who later becomes Joan’s very good friend, detective Bell and Captain Gregson. But, Sherlock’s nemesis and the chief protagonist Moriarty is given a twist and she also appears as his former girlfriend Irene, who faked her own death. These two keep facing each other time and again. Here is the list of some of the actors who appeared almost throughout. The series is a delightful watch because it is light, contemporary and the actors display a wonderful chemistry. Watson being a girl was discussed widely in the media but this is not the first time. In 1987, CBS made a television movie called ‘The Return of Sherlock Holmes’, wherein his alter ego was a Jane Watson. In the current “Elementary” Jonny Lee Miller plays Sherlock and Lucy Liu plays Joan Watson. Jonny Lee Miller has been loudly applauded for his portrayal of the modern, eccentric Sherlock and rightly so. He is captivating on the screen and Lucy Liu matches him in all respects. The show proves that if rightly done, a modern adaptation can renew the appeal of classic characters. The supporting cast is equally well chosen and it is the script and the performance of these actors that make this series different than hundreds of crime and detective dramas aired everyday. In addition to being a commercial success, the show also won number of media awards. It has successfully aired in United States, Australia, Canada, New Zealand and United Kingdom. We’ll be talking about some of its interesting episodes in the next few months. CBS has announced to continue to tales of Sherlock Holmes via Elementary Season 3. The third season is planned out to be aired from October 30, 2014. It is also worth to note that a lot of episodes (and even behind the scenes – stuff) is available online for viewing at: http://www.cbs.com/shows/elementary/video/. Remember: These videos are region restricted.